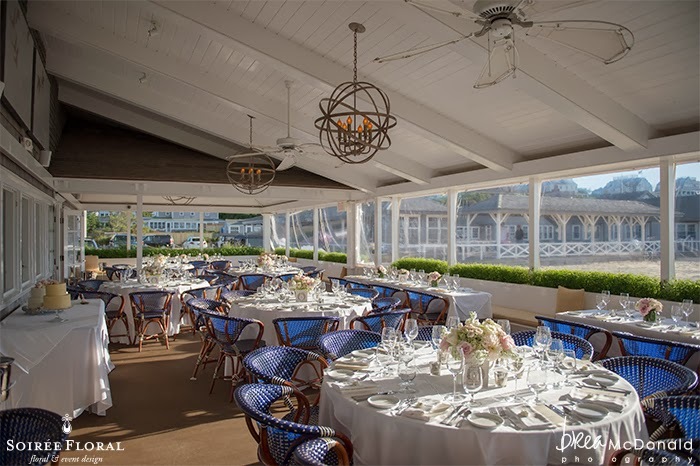 Weddings that take place at the Galley Beach are some of our favorites! It's that magical sunset, the sound of the waves crashing and the service is impeccable! 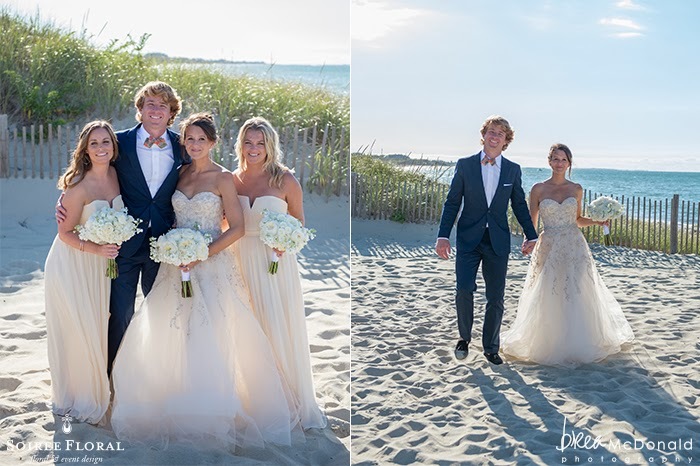 Today we're sharing Katie and Patrick's wedding this past September at the Galley. This wedding was featured last week on Grey Likes Weddings and we wanted to share with you a few more images from that wedding that didn't make the feature. 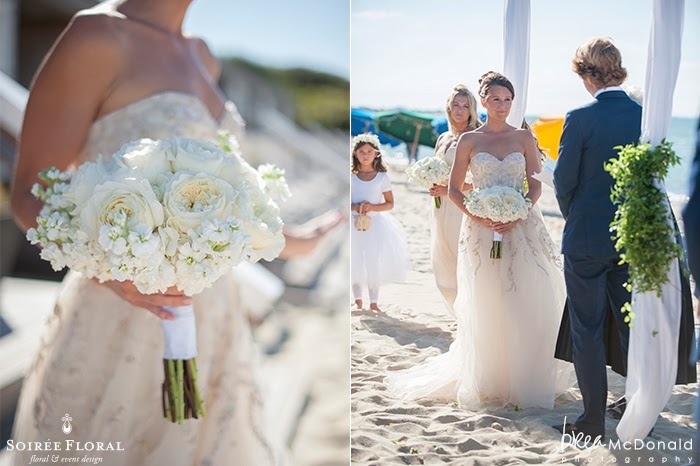 Katie's vision was to have a simple seaside wedding with a touch of beach glamour. Katie looked gorgeous in her gown - just look at the way the light flowed through the layers! 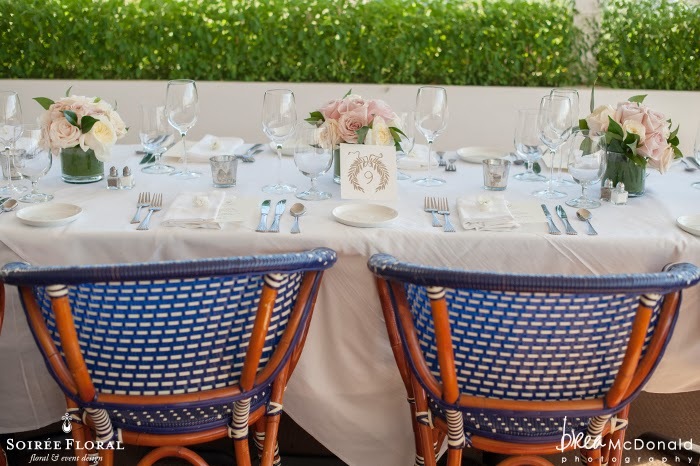 We love that she kept it natural and let the beauty of her surroundings take precedence. 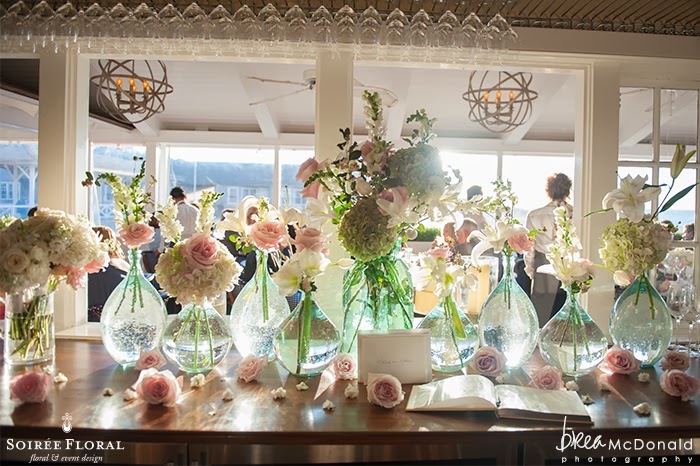 The sea glass bottle display on the wine bar was sparkling in the sunlight as the sunset. 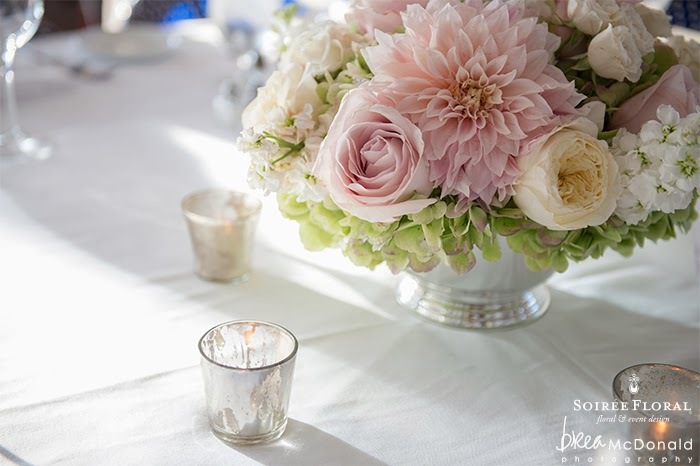 Our mercury votives and revere bowls on the tables added a bit of sparkle to the tables in the evening. Muted palettes are popular again this year, so we encourage you to pin to your heart's content! 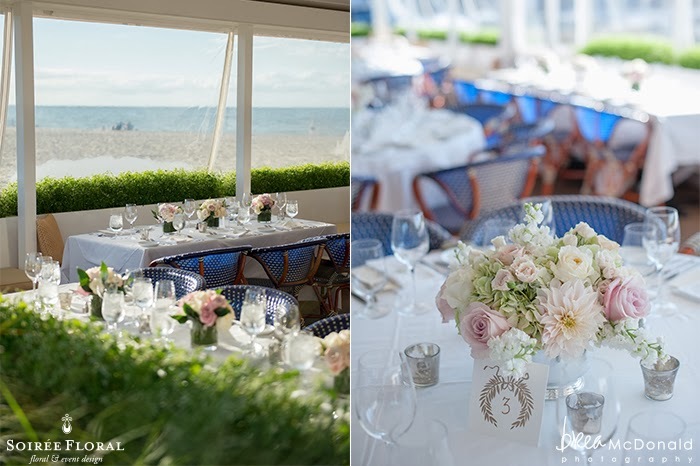 You can see more of our Galley Beach Weddings here.